We present to the team of scientists who have participated in the direction and coordination of studies, trials and reports on technology patented and developed by Pranan technologies, aimed at protecting the effect that electromagnetic radiation has on the body. Prestigious scientist, expert in Cell Biology, Biophysics and Physiology. A graduate in Biochemistry and Biology from the University of Pittsburgh, he has worked in major research labs around the world, including: the University of Cambridge in England, Case-Western Reserve University in Cleveland, the University of Copenhagen and Northwestern University in Evanston, Illinois. He has also worked as a researcher at the Marine Biology Laboratory in Woods Hole. He has published numerous scientific papers in the world’s leading journals, prominent among which is his recent article in the “International Journal of Advanced Complementary and Traditional Medicine” entitled “Technology for Protection against Ambient Electromagnetic Fields”. The research explores the mechanisms that make Pranan devices effective means of protecting the body from electromagnetic radiation. 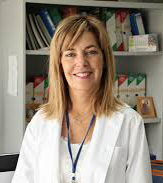 Having graduated in Pharmacy from the University of Granada, she has pursued her research and teaching work over the last twenty years at the Department of Physiology, Faculty of Medicine at the University of Granada. She specialized in oxidative stress and melatonin action mechanisms in the Department of Cellular and Structural Biology at the Health Science Center in San Antonio, Texas (USA). She directed the biochemical tests to measure the effectiveness of Pranan technology as a protector against electromagnetic radiation, as part of a research project carried out by the Biomedical Research Center at the University of Granada (Research Group CTS-101: “Intercellular Communication”). She is a member of the “Journal of Pineal Research” Editorial Board and has had over a hundred papers published internationally, the most recent of which was an article featured in the scientific “European Journal of Integrative Medicine” on the effectiveness of Pranan devices as protectors against the free radical damage in cells produced by electromagnetic radiation. 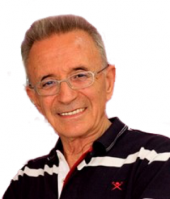 With a PhD in Medicine and Psychology, Dr. Alonso has spent over thirty years devoted to teaching subjects relating to Cognitive Neuroscience, Neuropsychology, Medical Psychology and Psychiatry and has tutored twenty-six doctoral theses associated with those fields. His primary research and scientific work has been the study of the brain, particularly in the field of cognitive neuroscience. He has authored more than two hundred national and international publications in these fields with remarkable scientific impact. He has coordinated a bioelectric study as part of a research project at the Complutense University of Madrid Faculty of Medicine, aimed at testing the effectiveness of Pranan technology as a means of neutralizing the effects of electromagnetic fields on cerebral bioelectric activity. He is currently involved in a tactile vision project that has already demonstrated the efficacy of repetitive tactile stimulation in the blind, thus opening up a new frontier in the study of brain neuroplasticity. Researcher, Bachelor of Law, Diploma in Philosophy. An expert in traditional Chinese medicine, Josep was director of studies at Foratman and has dedicated more than twenty years to scientific research applied to the welfare of people. One of his main lines of research has been transpersonal psychology, which led him to create and develop the fundamentals of ‘Psychoanalogy’ and ‘Spinoanalogy’. He is considered to be the father of macrobiotics in Spain. 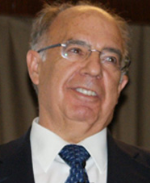 Author of several books, he teaches training courses and gives numerous international conferences.He is co-author of the protection against electromagnetic radiation patent based on the use of passive technology developed with mineral and metal nanoparticles, whose technological trials and studies have been published in several scientific journals. He is co-founder of Pranan Technologies and has directed the company’s research and development department. Indeed, his research with the department made him a pioneer at international level in the application of nanotechnology, particularly graphene, in protecting the body from electromagnetic radiation. He is a world reference on the subject of melatonin. His discoveries include the nuclear receptor of melatonin; its antioxidant and neuroprotective properties, and the identification of mitochondria as melatonin’s main target. The standard of his research is reflected in more than one hundred and fifty articles in leading international journals, ten books, and over one hundred and sixty presentations at national and international congresses. He is co-author of the article published in the “European Journal of Integrative Medicine” on the effectiveness of Pranan devices and author of the “Scientific report on the effect of electromagnetic fields on the human endocrine system and associated pathologies”. He has participated in the biochemical tests carried out by the Center for Biomedical Research at the University of Granada to measure the effectiveness of Pranan technology as a protector against electromagnetic radiation. Professor of the Department of Applied Physics at the E.T.S.A.B., he is distinguished for his research on the aging of crystals due to the action of electric fields, a subject on which he has published several books. The results of his research led him to devote seven years developing the fundamentals of the “Unified Field Theory”. He has developed several patents in the fields of medicine and agriculture. He has spoken at international Physics congresses in Japan, Russia, France, Poland, and England, as well as lecturing at several universities in India and at the Institute of High Energies in Beijing.He has published numerous papers in international scientific journals. Author of the scientific report which analyses the physical and mathematical technology built into Pranan devices and their effectiveness as protectors against electromagnetic radiation. This research forms part of a project conducted by the Department of Applied Physics at the Polytechnic University of Catalonia. A graduate in Physics from the University of the Basque Country, he has been a researcher at the IFW (Institut für Fertigungstechnik und Werkzeugmaschinen) at the University of Hannover, at the Department of Electronics in the University of the Basque Country Faculty of Science, and part of the distributed systems research group at the Public University of Navarre, where he is also a senior lecturer in IT languages and systems. His current lines of research cover embedded systems, distributed algorithms, software quality models and semantic web/ontologies. 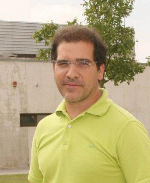 He coordinated a research project carried out in collaboration with Pranan Technologies at the Jerónimo Ayanz R&D Technology Center aimed at obtaining an authentication (anti-counterfeiting) system using data encryption and based on NFC or wireless communication protocol technology by inducing an electromagnetic field, a system known as Nefertitys (Near Field Authentication System), which is currently built into Pranan devices.